So here we are at Day 2 of the Coloring Everyday Challenge that I entered. 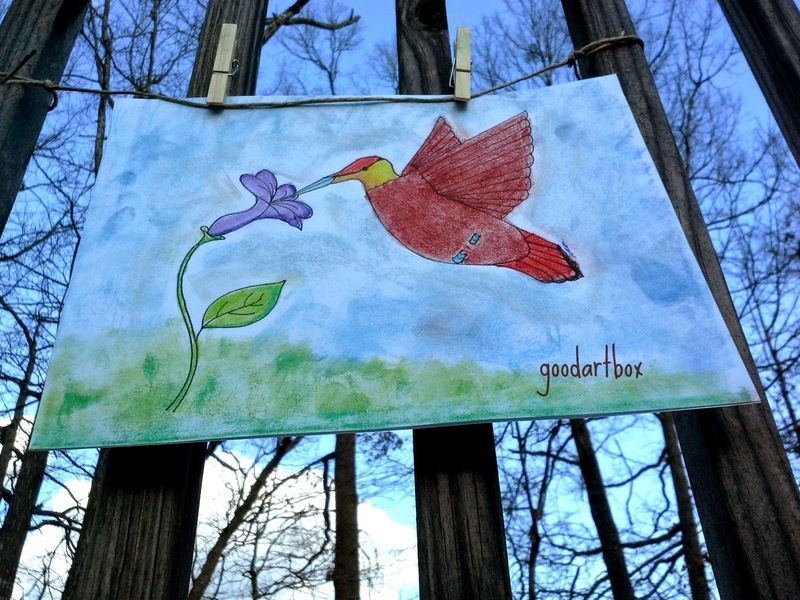 I wanted to teach my daughter to draw the hummingbird but she had other drawing ideas. So I let her create her own little masterpiece and I drew the hummingbird. I drew two of them so that she could color one. When she does color it, I will post it here. 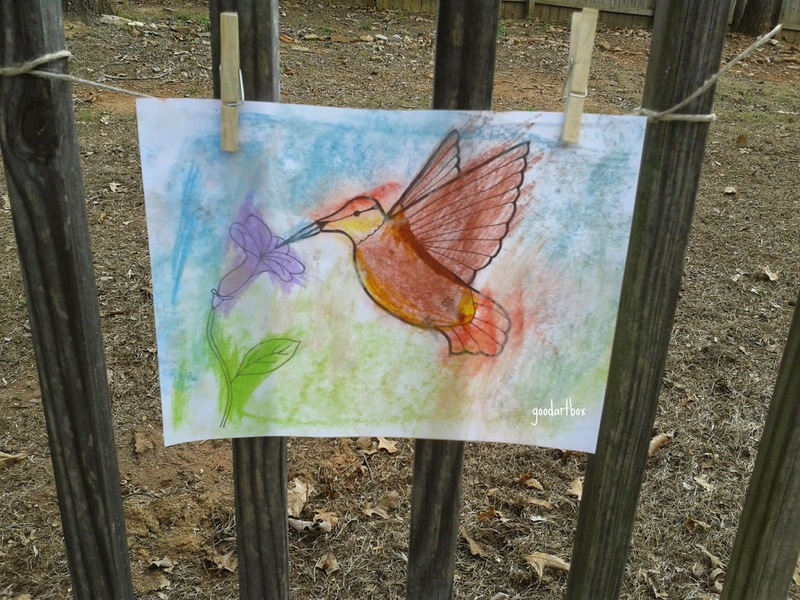 UPDATE: She colored her hummingbird this morning with the soft pastels! I love it! I used Soft Pastels to color this picture. One of the things that I learned today about using Soft Pastels is to leave out the soft pastels that you use in your artwork. You can either stick them up a little in their place in the box or leave them out on paper as I did in the photo. Doing this helps you to remember the colors that you have already used in your artwork. 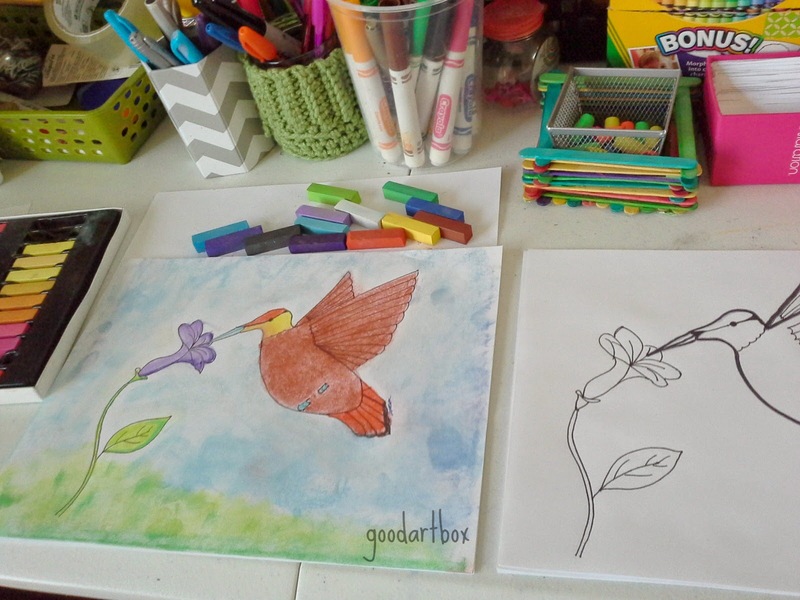 Soft pastels look so much alike in the box. It may be hard trying to distinguish whats what while using them. The second coloring tip is use the lightest color first then outline with the darker color (in the same color family). If you look at the purple flower, you can see the darker purple outline highlighting the lighter purple. Then you just kinda blend the two colors using the lighter one as the blending tool. Do you use Soft Pastels? You can find the Coloring Challenge on Instagram at #thedailymarker30day here. 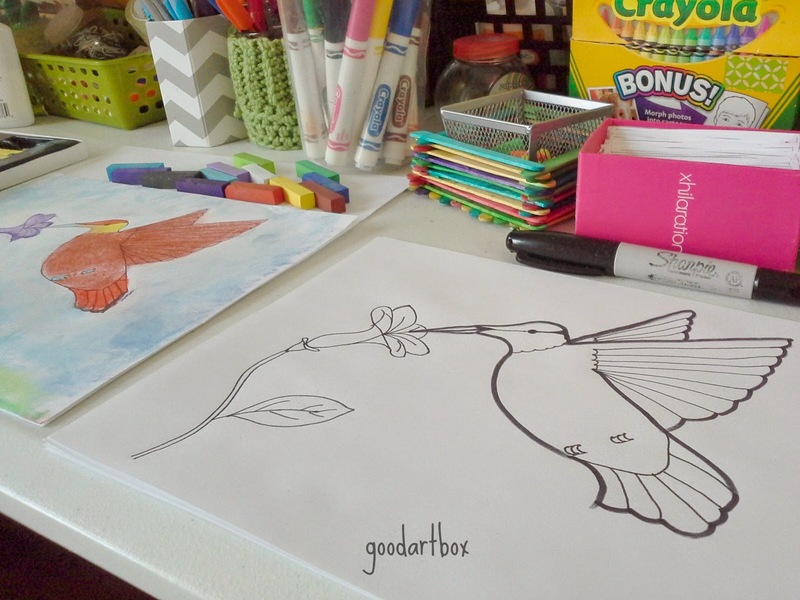 You can find the "How to draw a Hummingbird" video here.